The most popular member of the citrus family, oranges have rich juicy pulp that varies from very sweet to slightly sour. Large oval oranges with deep orange skin, sweet orange juice with a few seeds. Good for juicing and eating out of hand. 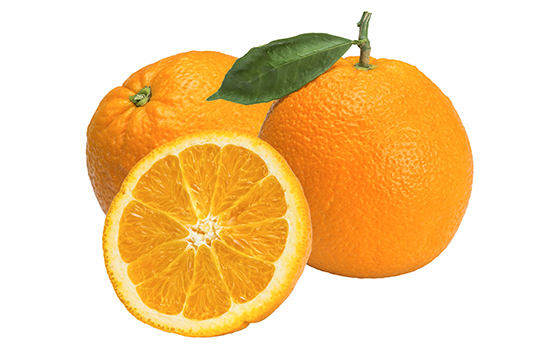 Valencia oranges, are a good source of vitamin C, fiber and folate. They also contain antioxidants that help boost immunity. Wash oranges thoroughly before cutting or slicing. If the orange is being used for juice, it is best to bring the orange to room temperature before juicing. One medium orange will provide about ¼ to 1/3 cup juice and 4 teaspoons grated peel (zest).